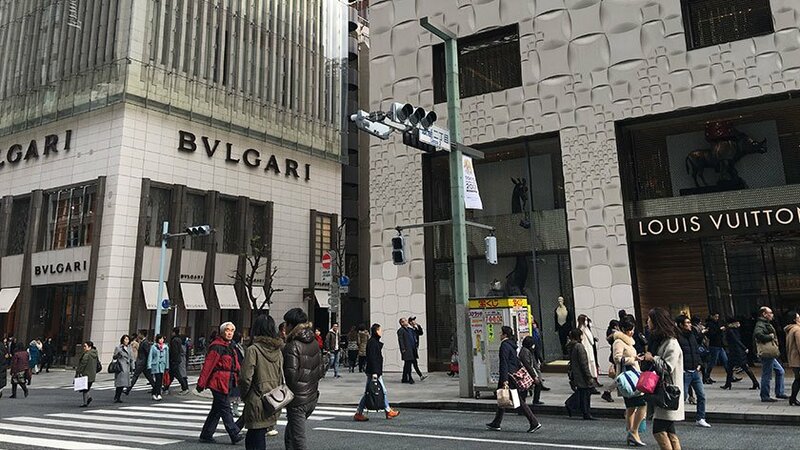 Though it was formerly rejected by foreigners for being “too Western,” the high-end shopping center of Ginza is now a popular place to visit. with its expensive department buildings and flagship stores. The shopping experience is mostly accessible to those with disabilities. 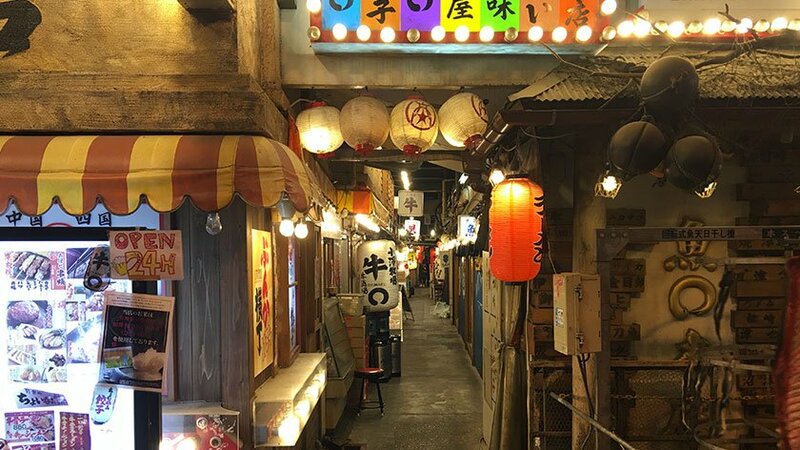 Originally a swamp, the Ginza area was reclaimed in the 1500s and was later renamed after the silver-coin mint that was established there in 1612. Taking advantage of a fire in the 1870s, the government decided to make the area a symbol of modernization. Large, fire-proofed brick buildings were built along wide roads to give the area a Western feel. This was so well done that foreigners of the era hated it for not being “Japanese enough.” While most of the buildings are no longer standing, a few are, including the the Wako building featuring the Hattori Clock Tower built by Kintaro Hattori – the founder of Seiko. The main street in the area, Chuo Dori, has been regularly closed to traffic on weekends since the 1960s. 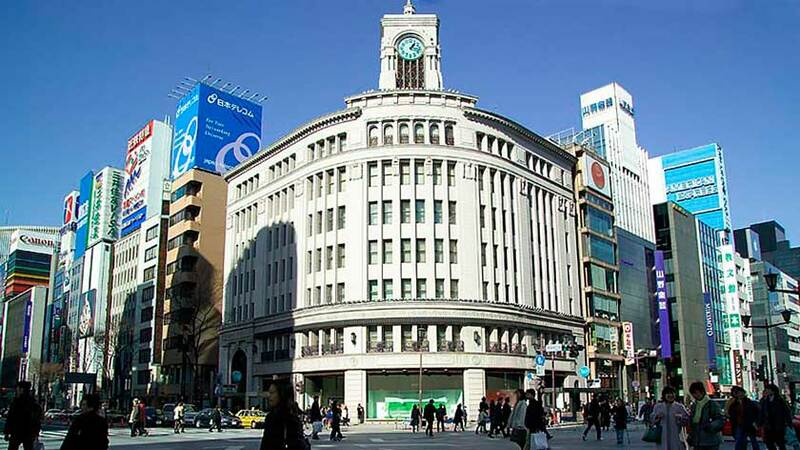 It is lined with the flagship stores for high-end foreign brands like Dior, Gucchi, Louis Vuitton, Chanel, and Tiffany’s, as well as electronics brands like Sony and Apple. 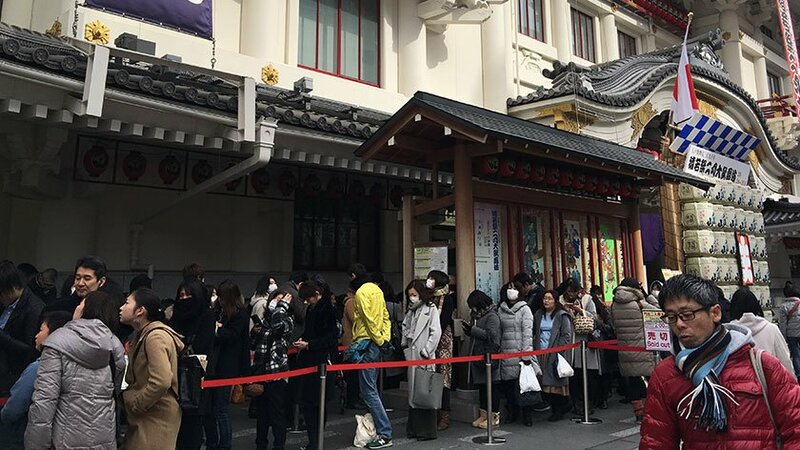 Nearby, the Kabukiza is a great place to see traditional Kabuki theater. The plays are very long, so tickets for a single act are available on the morning of the show for those who stand in line. You can access Ginza from a number of stations including Ginza Station, Higashi Ginza Station and Yurakucho Station (JR, Metro). 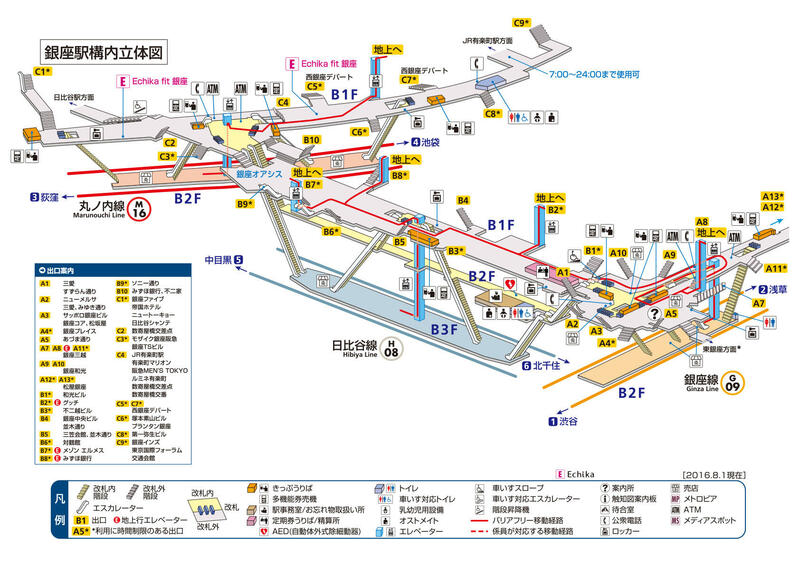 All of these stations are accessible but Ginza Station and Higashi Ginza Station are the easiest to use. Click on the station name for a map of the station. The vast majority of the stores and department buildings are fully accessible. There are accessible toilets in all of the stations as well as the department stores. However, the accessible toilets in the department stores can be very busy on weekends as they are also used by mothers with small children. Elevators can also be a problem due to the large number of people using them. Getting on an elevator at a middle floor can be nearly impossible. The Kabukiza has elevators and a space for wheelchairs in the theater. However, the wheelchair space may be booked already, so, if you are planning to attend just one act, it would be wise to ask the staff if the accessible space is available before lining up. 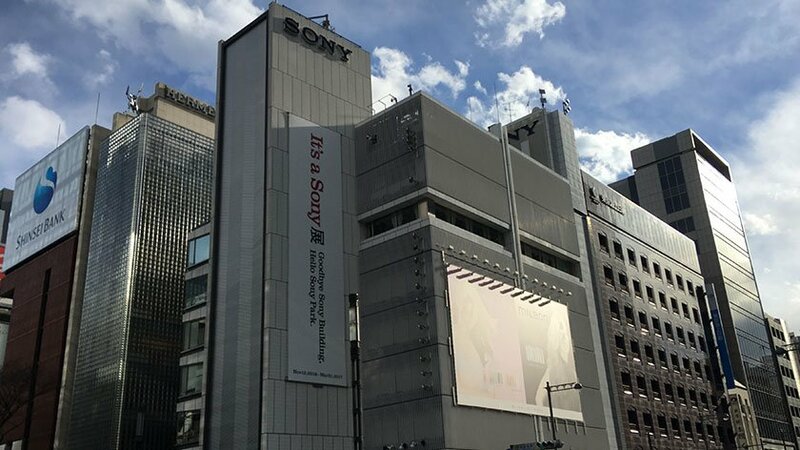 The Sony Building showroom is also a popular attraction for many tourists. Unfortunately, the design is not friendly to those who cannot use stairs. An elevator goes to all floors but a majority of the displays are located in areas adjacent to the main elevator and these areas are only accessible via steps. As such, visitors who cannot use stairs can only see a fraction of the items on display. Under the tracks just south of Yurakucho Station, there are numerous restaurants, bars, and pubs that are popular among businessmen and can provide some great pictures due to the retro feel. Unfortunately, the majority of the restaurants are very small and have steps barring entrance. So, finding a place to eat can prove to be frustrating. Even if you don’t have the budget to go shopping in Ginza, it can be an interesting change of pace from the rest of Tokyo. Going on the weekends allows you the opportunity to go down the closed of streets, but also brings the hassles of crowded elevators and lines for the toilets. It is unfortunate that both the Sony Building and the restaurants under the tracks near Yurakucho are not fully accessible, but they still can be enjoyed to a degree.